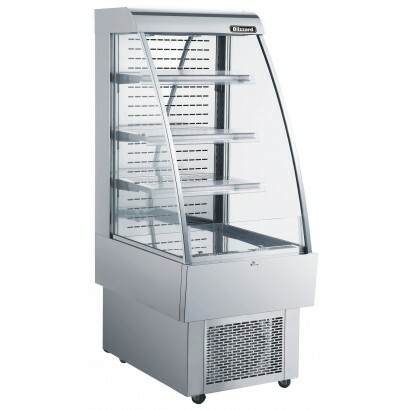 Within our multidecks range we have fresh meat multidecks for butchers and supermarkets, fruit and vegetable multidecks for green grocers, low height multidecks for general purpose, shutter multidecks for safe overnight product storage, slimline multidecks for hard to access areas, general purpose multidecks for everyday usage and remote multidecks for off site condenser refrigeration. 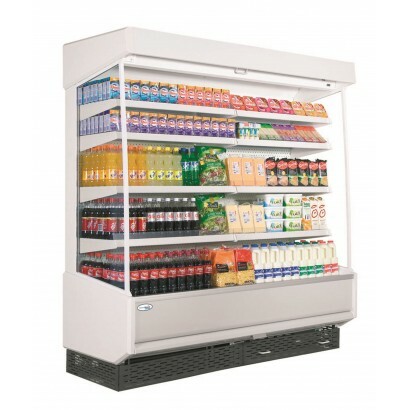 We have small displays from 0.6m wide right up to 5m runs perfect for large scale refrigerated display. 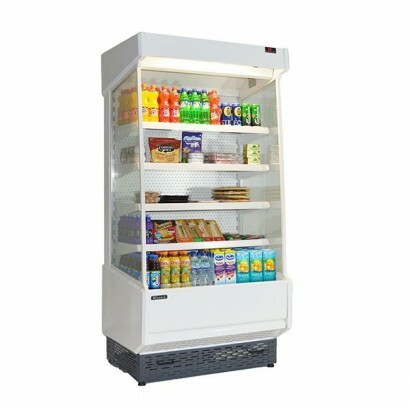 These fridges can have a range of features including lockable shutters, night blind, switchable interior lights, off cycle defrost and ticket strips. 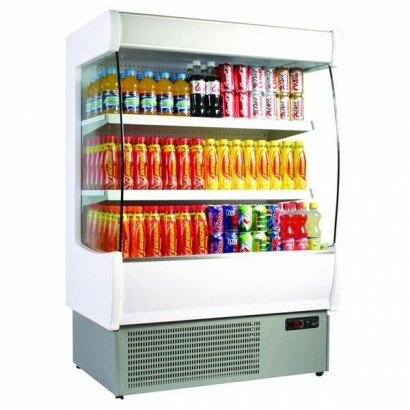 Popular products in this range include the Framec Sunny range, Alpine Prague range, Interlevin SP range, and the Mondial Elite Jolly range. 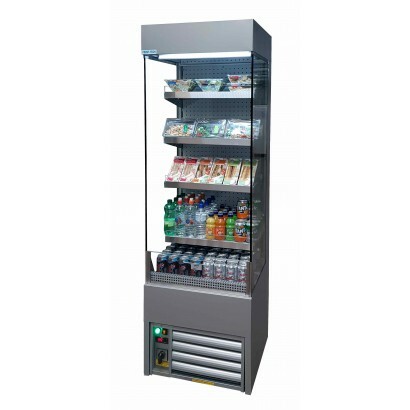 If you want to set up a grab and go section for easy self service a multideck chiller is the what you need. 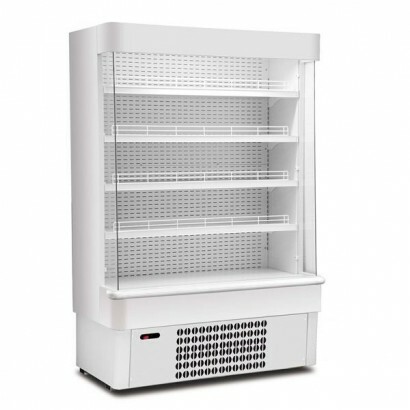 Ideal for increasing the visibility of you products and driving impulse sales, our open deck chiller range gives you a choice of multideck chillers for a host of applications. 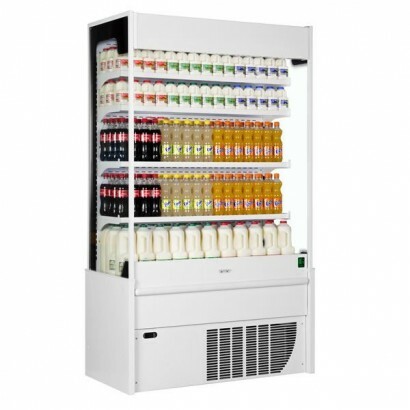 Choose from fresh meat and dairy chiller cabinets, slimline multidecks perfect for cafes, coffee shops and delicatessens, and security shutter multidecks for added product safety on garage forecourts and school canteens. 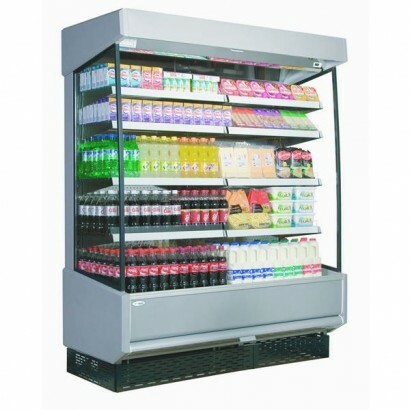 The general purpose/dairy multideck category includes sandwich display chillers and drinks display chillers in a range of sizes and finishes. 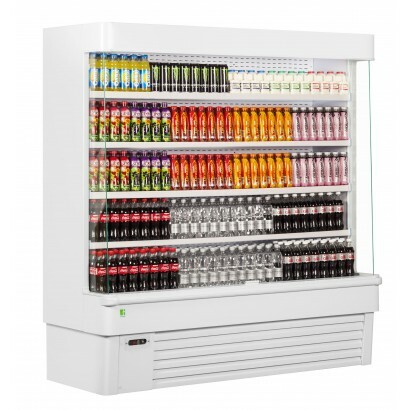 Take a look now or talk to an expert today. 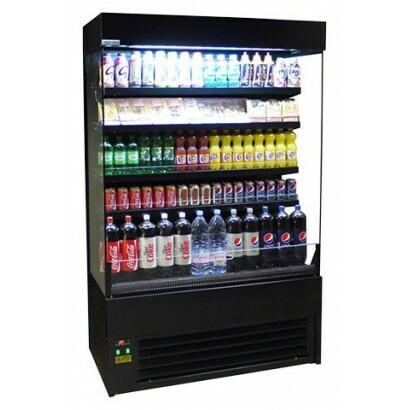 The Framec Sunny 7SL multideck display offers excellent product display, reliability and value for m.. 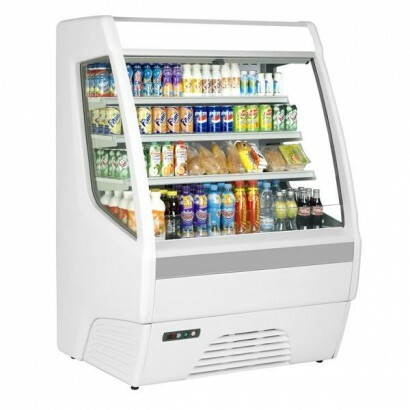 Ideal for all kinds of convenience produce, the Mondial Elite Jolly SL7 multideck is an open fronted..
A high visibility 1.0m open deck chiller ideal for the retail of convenience product such as drinks,..
A 1.0m open deck chiller ideal for convenience retail. 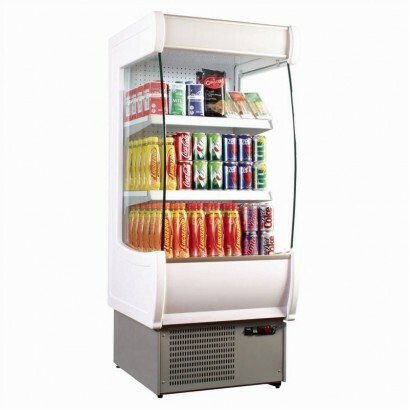 The unit comes complete with manual night bli.. 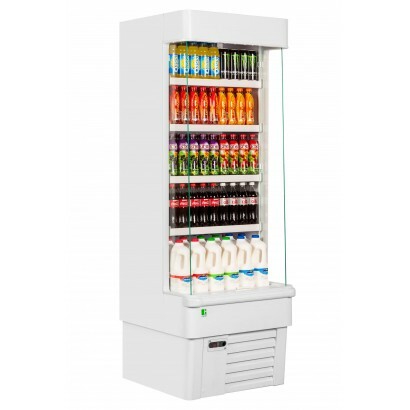 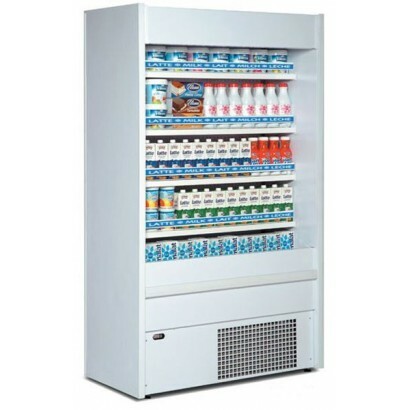 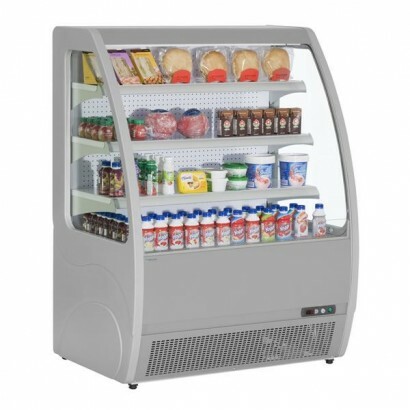 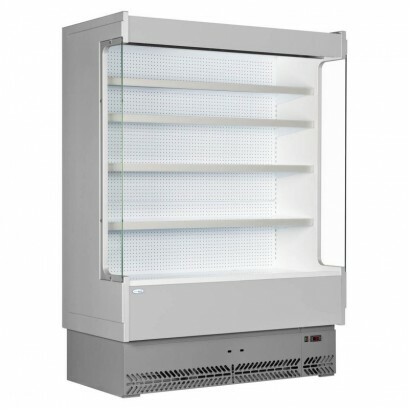 The Blizzard Alpha Multideck is an open fronted display fridge available in six sizes with 4 adjusta.. 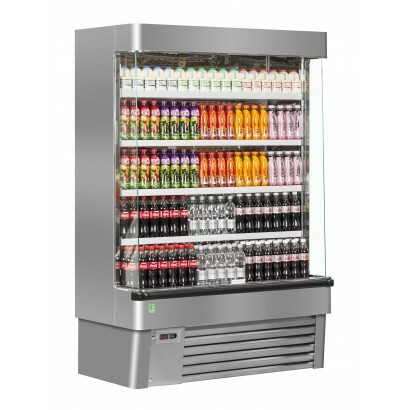 The stainless steel Framec Sunny multideck offers excellent product display, reliability and value f..
A 1.0m multideck chiller finished in grey with stainless steel interior. Ideal for a whole host of c..